Size : 11.6 x 15.0 inches. / 29.5 x 38.0 cm. 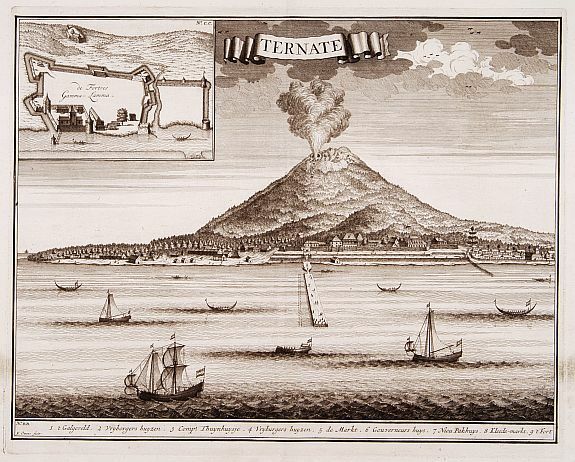 Description :"Decorative panoramic view of Ternate with European vessels in the foreground. In upper left corner inset plan of the Fortress Oranje. Condition : In very good condition. In lower margin some discolouration. Dark impression.